"You know, CNN should be ashamed of itself having you working for them. You are a rude, terrible person," said President Trump. "You shouldn't be working for CNN," adding "The way you treat Sarah Huckabee is horrible." 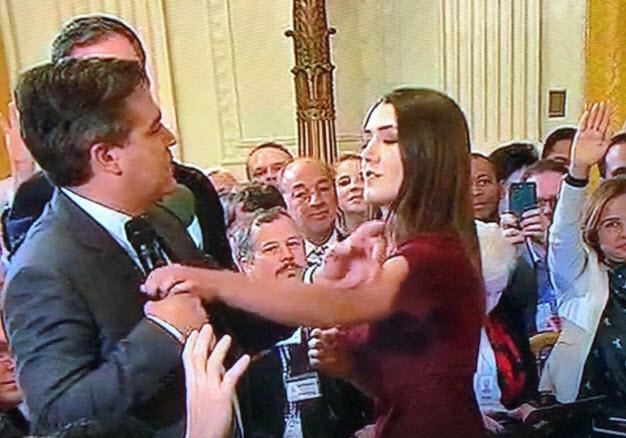 Maybe he shouldn't have "Acosta'd" that woman?